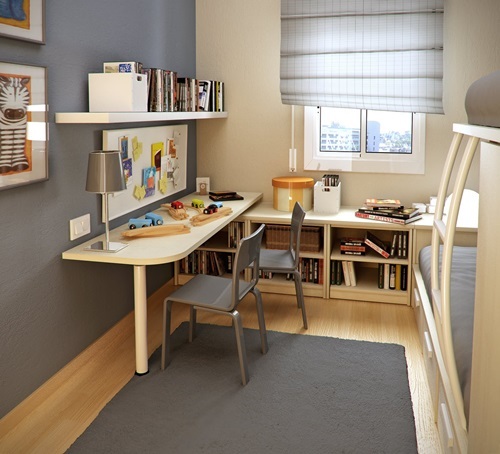 The study room is a separate room or a part of a functional room that will be a perfect space for your children to study or for you to enjoy self0studying or even work. 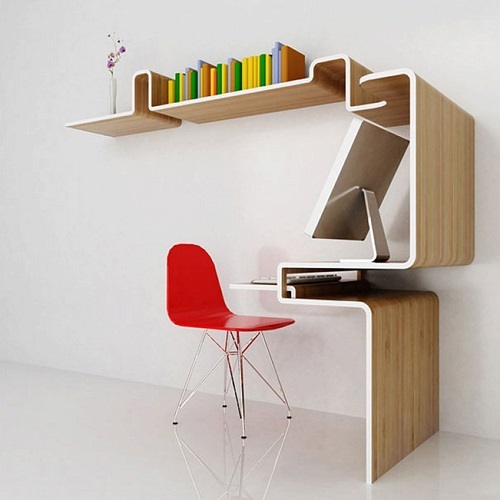 Whatever the size of your study room, it should be comfortable, organized, and free from the distractions. 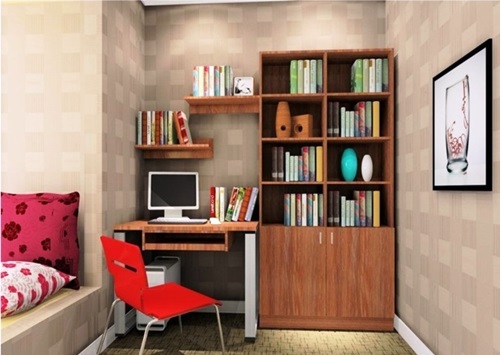 If you have a separate study room, you may install a bookshelf near the desk to reach the needed book easily without cluttering the room. 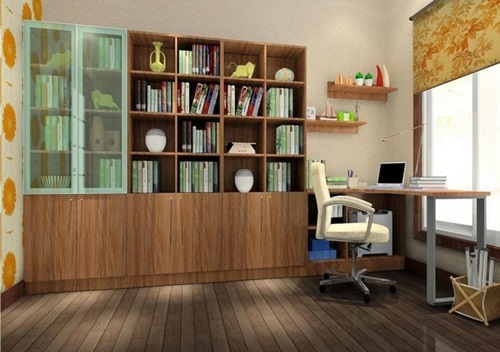 If you need more storage spaces in the room, try to install a space saving closed cabinet under your bookshelf. The comfortable sofa will provide you the perfect environment to read the romantic novels and stories and will give you a relaxing space to read while your children are studying. 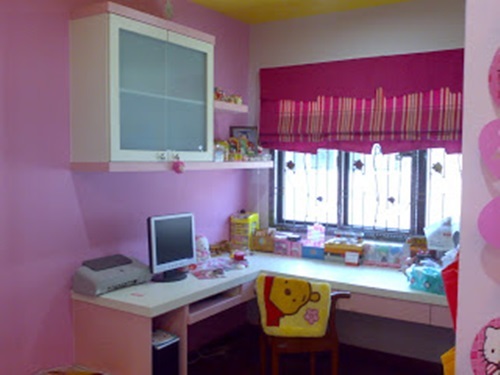 The study area can be attached to your kid’s or even your own bedroom. 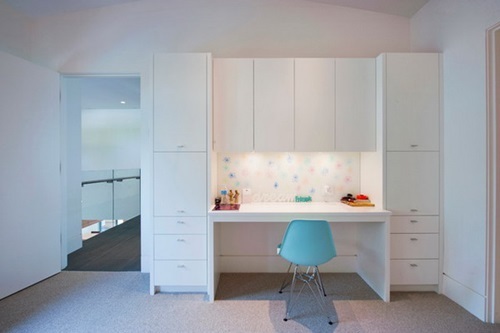 In such a room, the desk should be located directly under the window to get enough natural light during the day andkeep the sleeping area warm and comfortable. Try to install different degrees of illumination in the room to suite the different activities made in this multi-functional room. 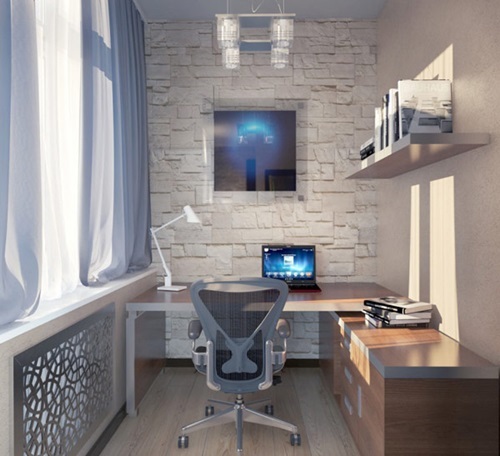 For example, you can install a pendant lamp with a certain mood for the whole room and a desk lamp with a focused light for reading and studying. The track light can be helpful if you prefer to change the spot of your studying regularly. 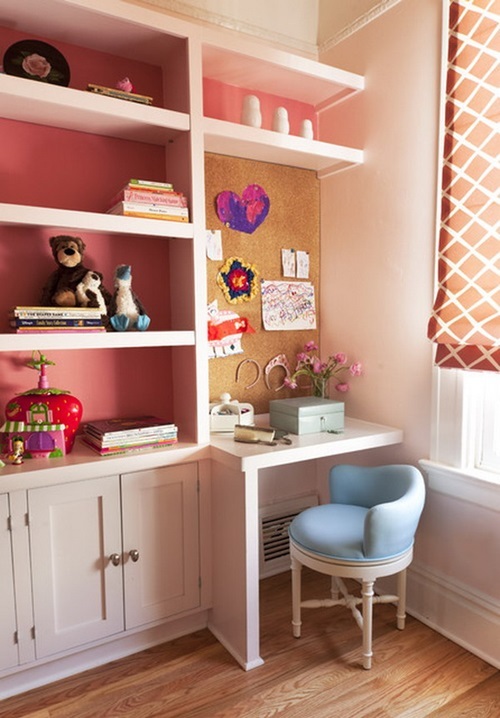 To give your study room a comfortable feel, you should give it mixed features from your own and your children personalities keeping the room organized and inviting. 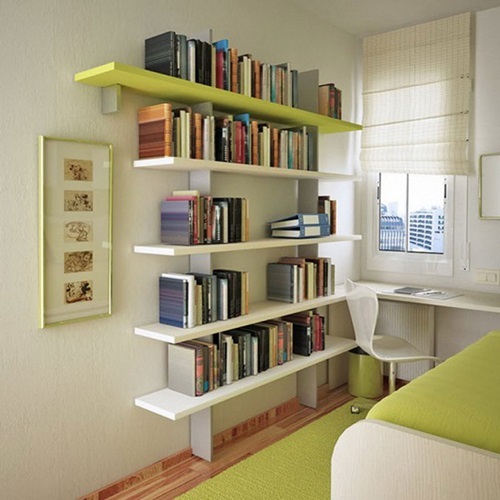 To achieve this, you should make use of the walls, as you can install a floor-to-ceiling wall-mounted bookcase to find a space for all of your books and documents. The most important element is to be satisfied with your design that should go with your lifestyle and needs.